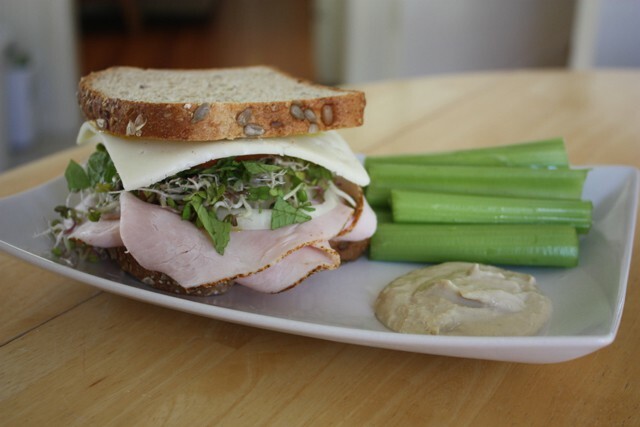 Have Your Sandwich & Feel Good Too! We’re all programmed to think “carbs = bad” and “eating a salad = good.” But, what if we tried to challenge that thought? What if we throw that out the window, and focus on having a sandwich and feeling good too! I think we could do pretty darn good with this if we just treat our bodies with respect by buying good, quality ingredients and using a sammy (can we call it this for now?) as an opportunity to get some nourishing colorful foods into our beautiful bodies. Today I’m going to share three sandwich combo’s with you girls to try – and you’ll feel good too! Alpine multi-grain bread (or Ezekiel! 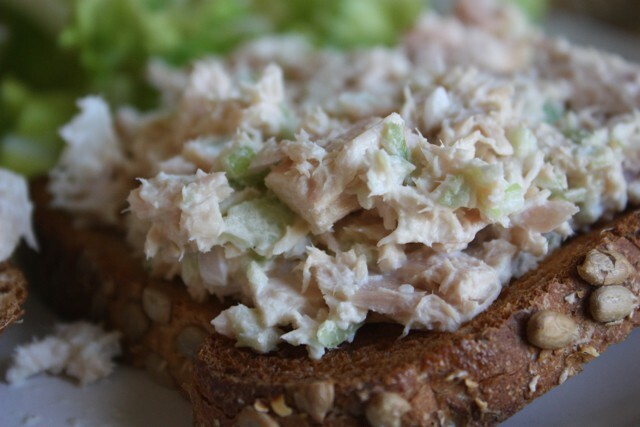 ), tuna, & a crazy simple salad with romaine + balsamic olive oil. 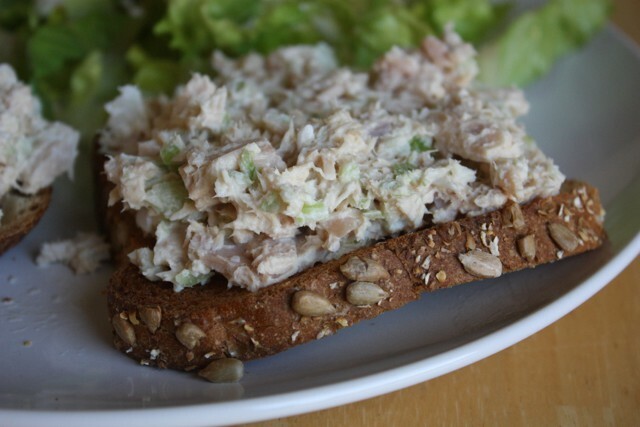 Top a slightly toasted piece of bread with your tuna & pair with a green salad – ENJOY! Note: this one tastes great open faced – I had two open facers after the gym for this meal + my salad – my belly was feeling complete. Alpine multi-grain bread (or Ezekiel! 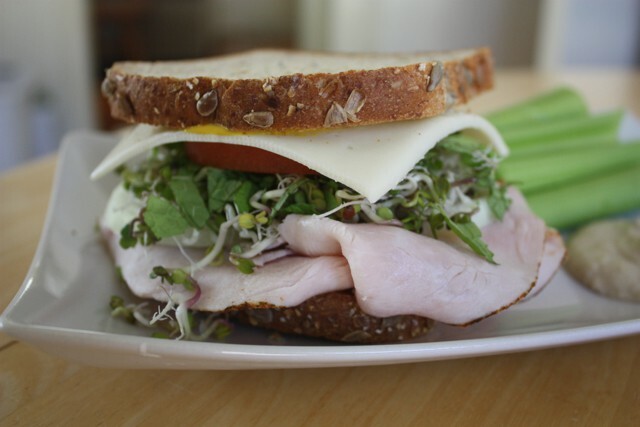 ), mayo & mustard, sliced turkey, onion, tomato, slice of havarti cheese, sprouts & chopped mint (so fresh!) with celery and original hummus on the side. Now this one on the other hand… she’s a little bit more fancy! We’re going to make a yummy (and simple!) 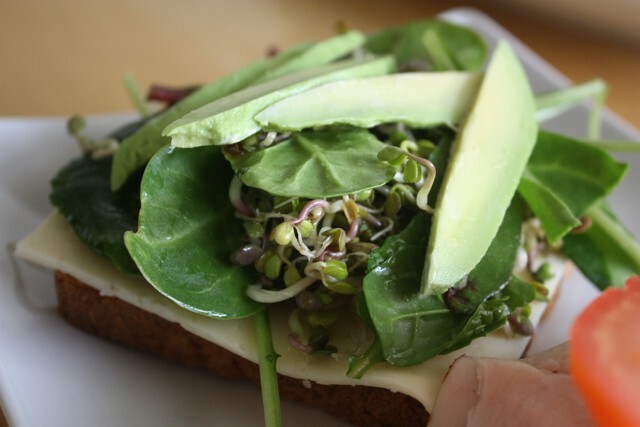 greens mix to pile in between the bread. Yummy (and simple!) 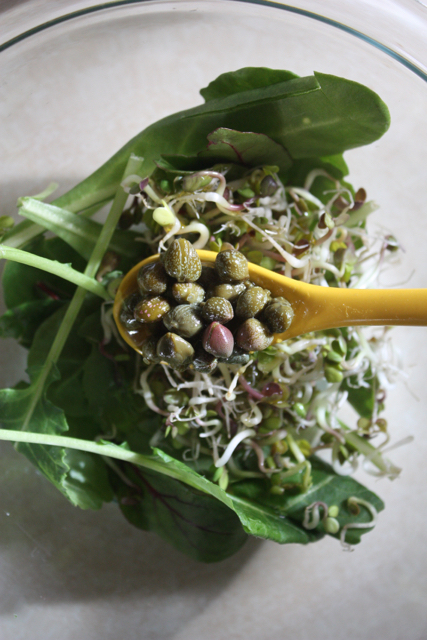 greens mix: small handful of Power to the Greens (or any lettuce mix), pinch of sprouts, a tsp. of capers, a pinch of sea-salt, and a drizzle or two of olive oil. Mix together! Then, lightly toast your bread. When she’s done toasting, add a little mayo & mustard, two slices of chicken deli meat, a slice of havarti, onion, tomato, avo, and then add your lettuce mix. Pile together, close her up, and press. 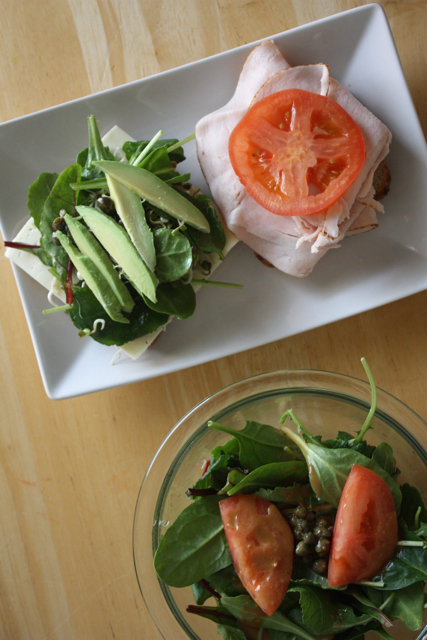 I paired this sammy with a side salad: power to the greens lettuce mix (TJ’s), a tsp. of capers, and homemade balsamic (olive oil, dijon mustard, shallot, sea-salt, and balsamic).